The image presented on this page is a very complicated composition of 21 images. 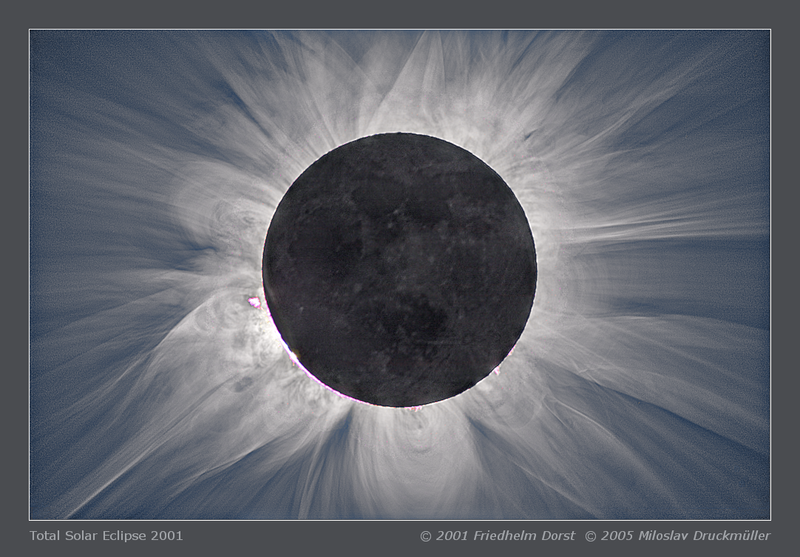 The first problem was the movement of the Moon relatively to the solar corona during the eclipse. For that reason it was necessary to align the solar corona and the Moon separately. The phase correlation method, which I use routinely for reliable alignment of the solar corona, turned out unusable for the alignment of the Moon. The reason was that the edge of the Moon was missing on the images with long exposure times because of the CCD chip saturation. That is why I was forced to use the alignment based on identifying formations on the lunar surface. As soon as I had solved the alignment problems, another problem emerged. The extreme brightness gradient near the lunar edge caused by diffuse light was necessary to be removed in order to make the faint lunar formations visible. I tried several methods without any acceptable results. Finally I had to write a dedicated program for this particular purpose. Processing Composition of 21 images. 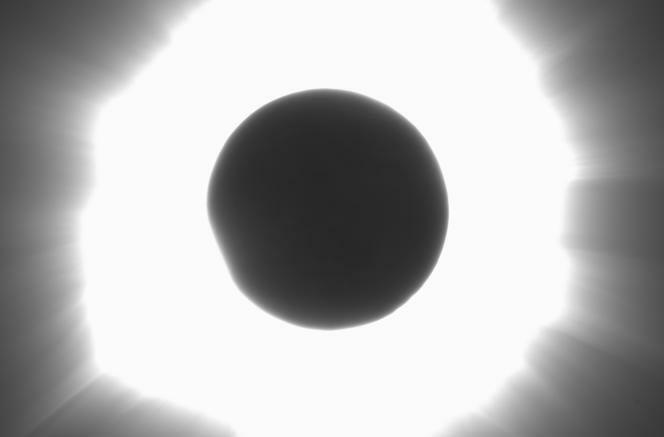 Images were aligned by means of phase correlation (solar corona) and using ACC Match II module (Moon), composed by means of LDIC 1.0 software, processed using Corona 3.0 in order to visualize coronal structures. Final processing was done using ACC 6.0 software.